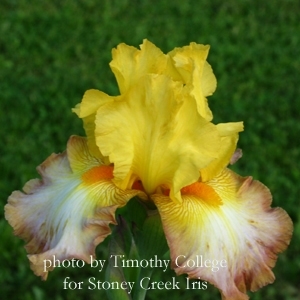 Stoney Creek Iris is located a few miles outside of Dauphin, Pennsylvania, in Stoney Creek Valley, close to the Susquehanna River at Harrisburg. 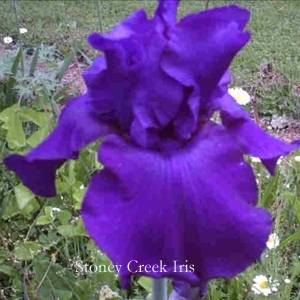 Our interest in iris began under the guidance of gifted irisarians Charlie and Betty, whom we are blessed to have as neighbors. Charlie and Betty grow several hundred varieties of iris, and their garden has been a gift to all of us in the valley for many years. We started with just a few....then just a few more.....and suddenly an interest morphed into a passion and an obsession. Starting a business seemed like the next logical step. 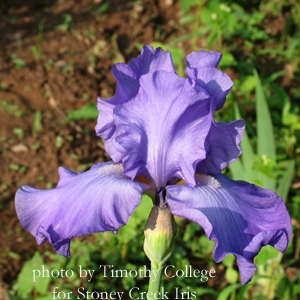 The iris you buy from Stoney Creek are not pampered specimens that will not thrive elsewhere. Our house is probably a lot like yours. Our weather conditions are unpredictable, our winters are cold, we do not use toxic chemicals, there are some weeds in the beds. The chickens will occasionally dig up some rhizomes, deer walk through the beds every night, and even though our sons are grown and on their own, I keep finding golf balls when I rototill around the iris beds. This year, we even have a peacock who shows up from time to time and checks out the iris beds, and sometimes his long tail knocks over a few plants. Okay, maybe your house isn't exactly like ours. We can't offer the largest selection you'll find anywhere, and we can't guarantee to always have the lowest prices. We don't have the long hot summers that Midwestern growers have, so our rhizomes aren't enormous. What we can offer you is strong, healthy rhizomes that have proven their worth under stress (deer, chickens, cold, weeds, peacocks, and wayward golf balls), an informative and easy to use website (thanks to our son Tim) and timely, courteous service. Since we began growing iris, we've been amazed at how friendly iris people are, and we look forward to hearing about your garden and your experiences growing iris. Your comments and suggestions are always welcome. Thank you for visiting Stoney Creek Iris!